As Valentine's Day gets closer, I thought I should find a Valentine for Rosy. 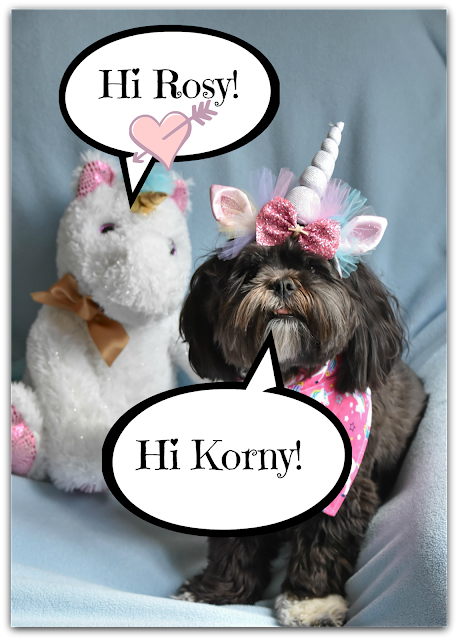 I know she likes Unicorns, so I thought it would be ok to fix her up with my new furiend Korny! 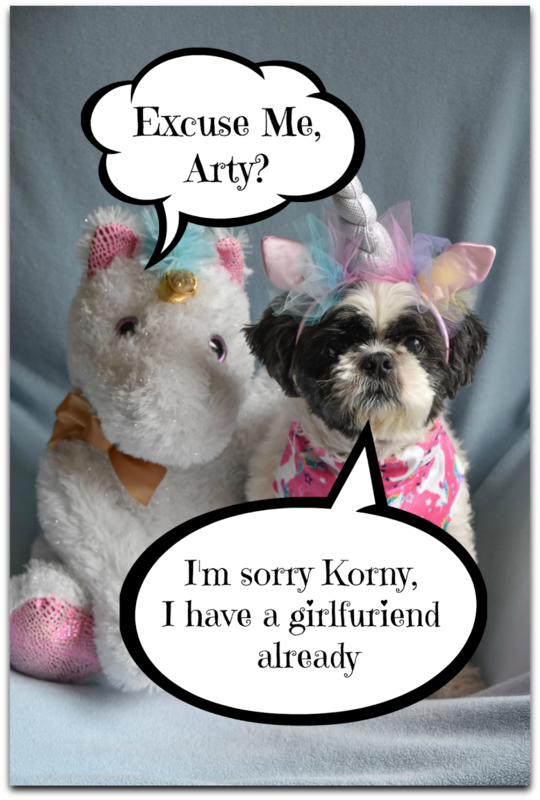 Arty got the wrong idea when Korny frist tried to talk to him, and thought Korny was asking him to be his Valentine! I told Korny it would be ok with me, but he might want to be careful. I told him how Rosy is very independent, and he shouldn't come on too strong or he might scare her away! Arty was so shocked he didn't know quite what to say. He ended up telling Korny how Rosy would probably like it if he whispered in her ear. Korny asked Rosy by whispering in her ear!!! Needless to say, she wasn't ready for anything so romantic! She told him something about how, it wasn't him it was her and how she just wanted to be friends. 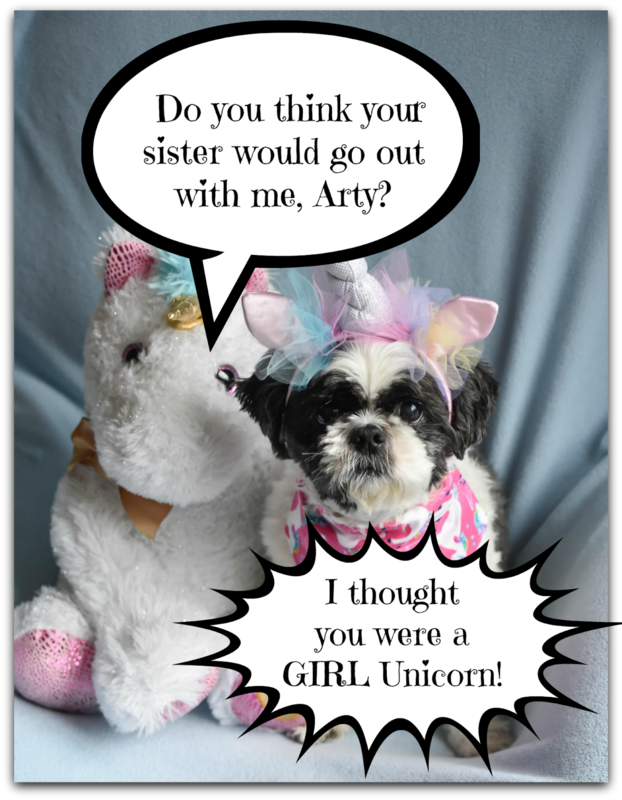 I guess we should let Rosy pick her own Valentine from now on...sheesh! You can't blame a brother for trying, right?? Oh no, poor Korny. It's tough being a male sometimes. I do hope he cheers up soon! awww poor Korny... maybe you can find a double cvalentine? one for Korny and one for Rosy and they can go out as a double date? Good on you Rosy for being clear! It might hurt a bit, but it is better in the long run. 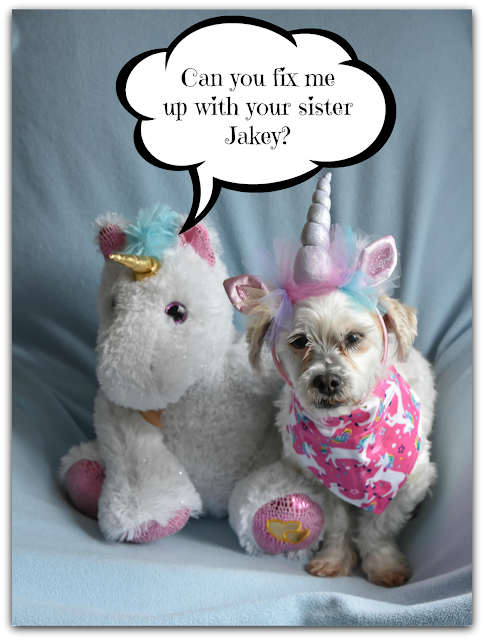 You are just the sweetest brother for caring, Jakey. We've heard that brothers like to get in their sister's love lives. My mom says growing up her brother was always messing with her boyfriends. Thankfully, we don't have a brother other than the cat to bother us. 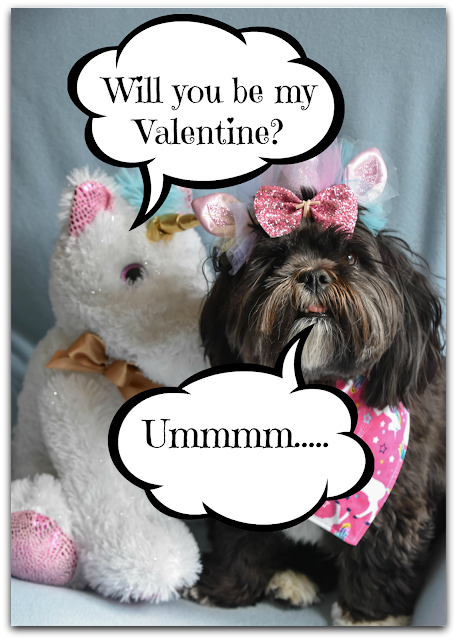 I'm sure cute and social Rosy will find her own Valentine! Oh No Korny...not the 'let's bee friends' line. Bless your heart. We're sorry to hear it didn't work out too well for Korny. He does look a bit sad in that last picture. Rosy is sure to find her own fella to exchange hearts with. Oh no, poor Korny, we hope it all works out soon, really soon! Aww, poor Korny! Don't worry, I'm sure she still wants to be furiends. I'll bet she's just playing hard to get. It's a well used strategy this time of year. It's tough when others try to set you up like that. I had one blind date. The fellow had been told I was LEO. He thought that was my astrological sign. When I corrected him, he and his monitoring ankle cuff fled the expensive restaurant leaving me with no ride and the bill. Maybe Rosy is an independent gal who doesn't need a Valentine. May you guys can have a guys-intines day to help Korny feel better. Poor Korny. He must be devastated... but it's Rosie's choice! Charlee: "We understand that unicorn relationships can get very complicated." Chaplin: "Yes, we learned that by watching a movie called 'Legend' that Dada has in his collection." Charlee: "So this is probably for the best all around." Chaplin: "Anyway, happy belated Valentine's Day to all of you!" Thankful for Rainy Day Activities! 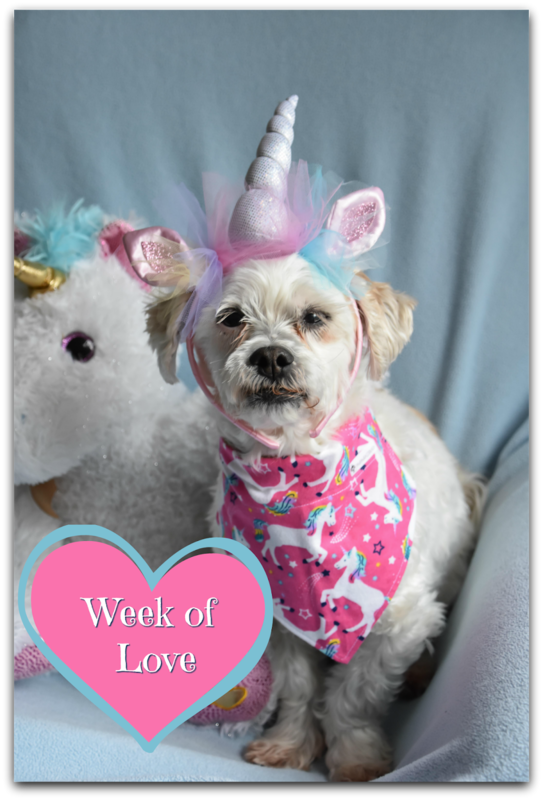 Dr. Seuss Blog Hop Deets! Tongue Out Tuesday with Arty and Mini Mabel! Thankful for My Valentine Mabel! 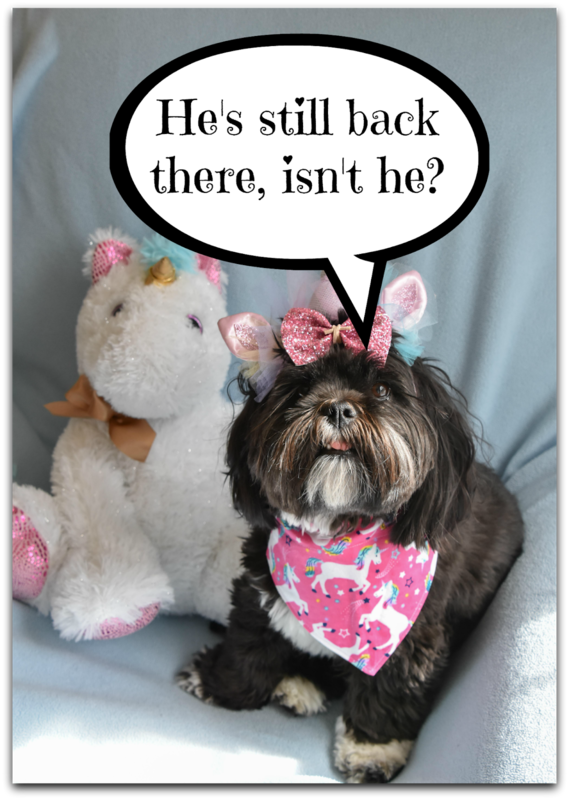 Coming Soon - The Dr. Seuss Day Blog Hop!